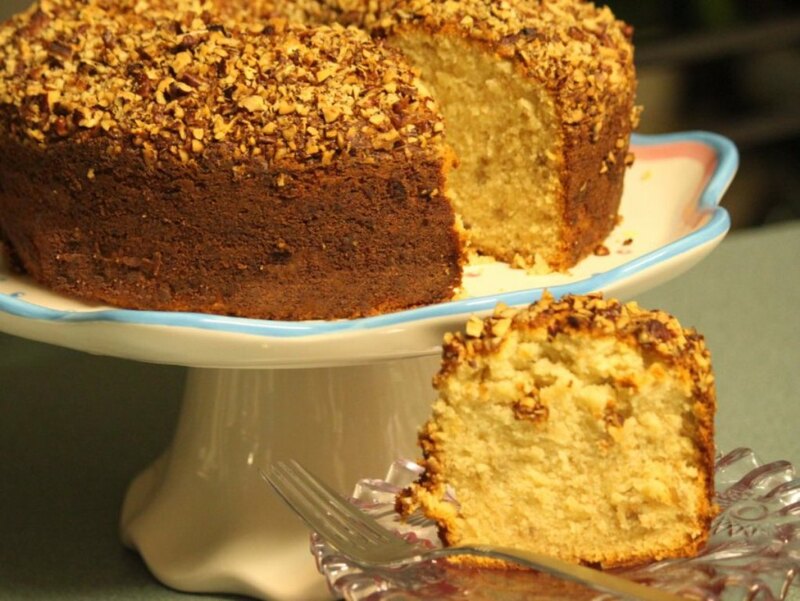 Banana Pound Cake | Rosetta Bakes! Preheat oven to 350 F. Beat butter at medium speed with an electric mixer about 2 minutes or until creamy. Gradually add sugar, beating 5 to 7 minutes. Add eggs; 1 at a time, beating just until yellow disappears after each addition. Combine mashed bananas, milk and vanilla. Combine flour, baking powder, and salt; add to batter alternately with banana mixture; beginning and ending with flour mixture. Beat at low-speed just until blended after each addition. Pour into a greased and floured 10-inch tube pan. Sprinkle with pecans. 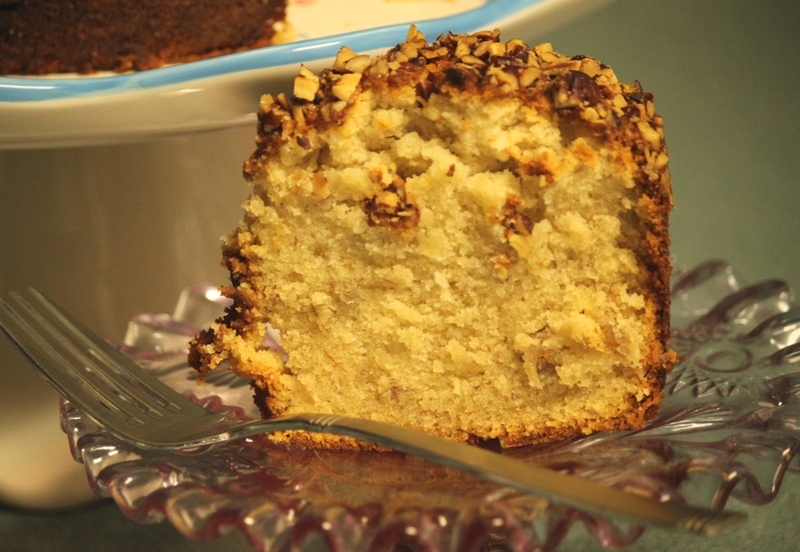 Bake at 350 F for 1 hour and 20 minutes or until a long wooden pick inserted in center of cake comes out clean. Cool in pan on a wire rack 10 to 15 minutes; remove cake from pan and let cool completely on a wire rack.